Image/Top Cow is giving you the chance to see your artwork appear in an upcoming issue of ECLIPSE, the new sci-fi thriller from up-and-coming writer Zack Kaplan and artist Giovanni Timpano. Participants may submit an original image inspired by the world of ECLIPSE, and the lucky winning artist will have their artwork appear in the pages of ECLIPSE #4. 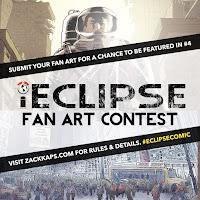 One grand prize winner will receive the artwork featured and published in Issue #4, as well as receive a complete set of ECLIPSE #1-4 signed by writer Zack Kaplan and a $100 Amazon gift card. "Eclipse is my comic book debut, and since Top Cow has always been a publisher that gives new talent a chance, I wanted to find a way to help give an aspiring artist an opportunity to be showcased,” said Kaplan. “I’m excited to see how ECLIPSE fans interpret this world and to discover one lucky fan's vision that we can share with the world." 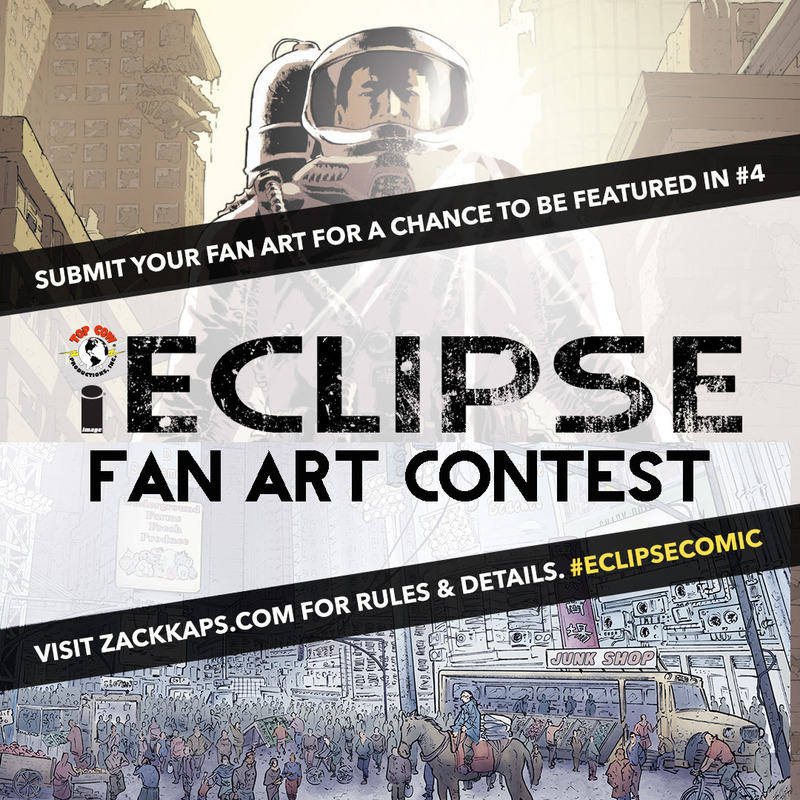 For full details and contest rules, pick up ECLIPSE #1, on sale now, or visit zackkaps.com to find out how to enter. The contest runs September 7 through November 15, 2016. The winner will be announced upon ECLIPSE #4’s release. In the world of ECLIPSE, the sun is deadly and society has turned nocturnal. But life continues after The Flare. ECLIPSE #2 (Diamond code: AUG160623) hits comic book stores on Wednesday, October 5th. The final order cutoff deadline for comic book retailers is Monday, September 12th. i09’s “The Awesome Comics You MUST Get This Fall"
Bleeding Cool’s "Top 5 Creator Owned Books That You MUST Pre-Order"